Equatorsun offers an extensive range of Australian designed uv (ultra violet) and sun protective clothing, swimwear and sun hats for the entire family from babies to children, teenagers and adults, up to 7XL. 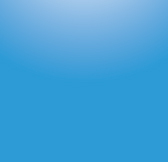 Most of the range is manufactured by STINGRAY® (the original sun protection company in Australia) - specialists in sun and UV protection swim wear and leisure wear. Every item of clothing gives excellent (UPF50+ blocking over 97.5% of the sun's uv rays) UV protection using fabrics which are soft, durable and exceptionally comfortable to wear. ideal for other outdoor activities such as cycling, sailing, snorkelling and especially family holidays on the beach or by the pool. Discounted prices are available on our Specials page. Zipped Rash Shirts - rash shirts with a little zip at the top to loosen the collar making it easier to get on and off. Available in adult sizes from Small to 7XL. Polo Shirts - available in 4 colours offering excellent sun and uv protection upf50+. Extremely comfortable and enduring. Long and short sleeved available for 4 years and upwards. Baby UV suits - sunsuits providing full body sun and uv protection for baby girls in pink and baby boys in blue, plus long sleeve rash vest, leggings, legionnaire caps, beach shoes and sun blankets all in UPF50+. Sunsuit (Raysuit) - versatile one piece UV protective suits available with either short or long sleeves whilst leaving most of the leg exposed in a range of colours for ladies, gentlemen, girls or boys offering maximum UV protection - UPF50+. 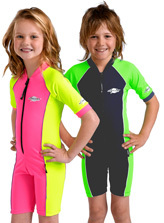 Stinger suit - full body UV and sun protection for children and adults. Sun protection rating UPF50+. Rash Shirts (Rash Vests, Swim Shirts, UV Tops) - available in either short or long sleeves. 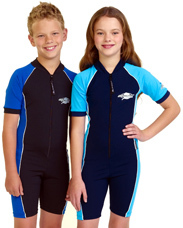 The rash vests or tops provide UV protection of UPF50+ and come in a range of children and adult designs. Swim Leggings - providing complete sun protection for legs reducing the need for sunscreen. Sun protection - UPF50+. Available in children and adult sizes. Legionnaire caps - full head and neck sun protection for in and out of the water, with UPF 50+ sun protection. There is a legionnaire cap to match each UV swim wear outfit. We also offer nomad caps like legionnaire caps fully protecting the neck from the sun. Wide Brimmed Sun Hats and Cricket Hats - UV protective sun hats with wide brims giving excellent face and neck protection from the sun for children and adults - UPF50+.